The dehumanisation of work and its impact on workers mental health - This is the first in a series of articles entitled Surviving Work in the UK, produced by Surviving Work in partnership with LSE Business Review and LSE British Politics and Policy. Are you a Londoner who has been detained under section 136 or attended A&E in a mental health crisis? Are you willing to share your experience, in the strictest confidence, for this study? Over 100 people attended this years event in June. We were also pleased to join forces with Shaping Our Lives for the launch of the report From Mental Illness to a Social Model of Madness and Distress. Members generously took part in the Soap Boxes, sharing their experiences, initiatives and concerns. You can view some of the films here. This was followed by a rich debate in the afternoon. The full report can be downloaded here. 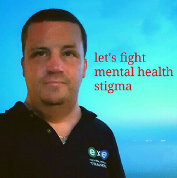 NSUN member Marc Ewen is raisng funds to establish a Mental Health Service Users Trainers collaborative. You can find out more on his Gofundme site. NSUN's Emma Perry recently published in the Open University Psychological Society (OUPS) Summer newsletter. 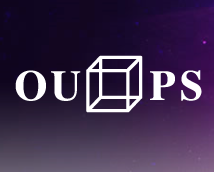 The role of OUPS is to advance public education in psychology amongst members of the Open University and elsewhere who are taking, have taken, or are preparing to take courses in psychology or cognitive psychology subjects with the Open University or elsewhere. Emma highlights the Members' Manifesto (currently being reviewed) the Member Campaigns and the 4Pi National Involvement Standards. Researchers at the University of Manchester are undertaking a research study exploring mental health service users and carers experiences of how well physical health concerns are incorporated into the mental health care planning process. The project is reimbursing people with a gift voucher for taking part. If you would prefer a paper copy, please call Dr Helen Brooks on 07552007535. Peerfest is an annual celebration brought about through a national partnership of local and national organisations working in mental health peer support. Peerfests have been celebrating the diversity of peer support in all its approaches, shapes and sizes since 2013. Peerfest is an opportunity to network, share ideas, take part in workshops and debate current issues regarding peer support. Are you a Dad with post natal depression? A trainee clinical psychologist at the University of Coventry and Warwick, who is also a new father, is seeking participants for a study in post natal depression affecting new dads. The focus of the study is on the way that people describe themselves as fathers with depression and how this effects their relationships with other people in their life. The researcher is looking for first time fathers over the age of 18 who think they either currently have postnatal depression or have had it within the last five years. Participants will be asked to take part in a face-to-face interview, which will take place in their homes. The interview will include questions about postnatal depression, fathering and relationships with other people. It is estimated they will take approximately one hour and information will be treated confidentially in accordance with the Data Protection Act (1998). Healthwatch Bradford are looking for two skilled, knowledgeable and talented people to join the team, a Development Worker and a Communications and Outreach Assistant. 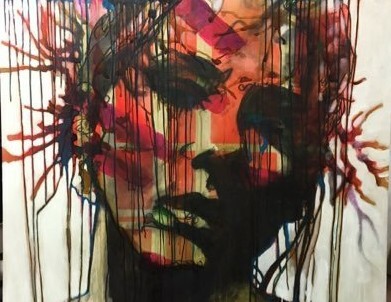 This month's Poetry Express Newsletter, shared by a member of NSUN, features creativity by Survivor Poets, articles on poetry and introduces an artist, Michelle Eva May. You can read more about the Mad Studies Stream in this online paper. 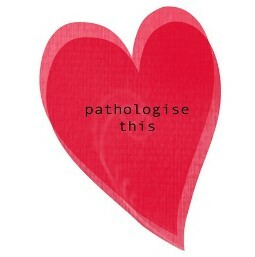 Artwork 'Pathologise This' by Dolly Sen. 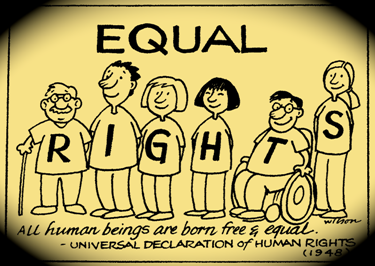 The European Inter-University Centre for Human Rights and Democratisation is running a free online course on Disability as a Human Rights Issue – Global and National Perspectives. It runs from 12 September to 24 October and aims to provide participants with the knowledge and skills necessary to effectively approach disability from a human rights perspective. The course will take around five hours a week and includes online lectures, films and podcasts with weekly quizzes and discussions. Saturday 10 September was World Suicide Prevention Day. Earlier during the week, Disability News Service shared the alarming news that claimants die as DWP staff fail to follow suicide guidelines . Meanwhile, the Independent commented on academic findings which link suicides and mental health struggles to recessions and the way political regimes handle recessions. On Wednesday, activists from groups such as Disabled People Against Cuts (DPAC), the Mental Health Resistance and Black Triangle organised a protest on Westminster Bridge to raise awareness of deaths (some by suicide) caused by cuts. Publishing online about this event, the Mirror reported that DPAC were ' claiming cuts to disability benefits since 2010 have become so severe the UK is now being investigated by the UN for violation the rights of disabled people'. Actually, the UN investigation did occur and resulted in the UK's austerity policies being declared in breach of Human Rights. The Insight Network for Mental Health is a consortium of support groups, networks and services that are available for service users and carers across Lancashire (Blackpool, Fylde and Wyre; Central Lancashire; East Lancashire; North Lancashire and West Lancashire). Please visit the Insight Network's website for a full list of support groups. If you're not on Facebook, you can get in touch with Raza on Wednesdays and Thursdays (11am - 6pm) by email or phone 07737 647 445. This seminar will explore the issues around the rising numbers of students suffering from mental health issues in higher education institutions - and wider aspects of student wellbeing including sexual health, nutrition, substance abuse and active lifestyles. Nutrition: how can universities help improve students’ diets? Supporting all-round wellbeing: steps universities can take to better identify and react to students in need of support. 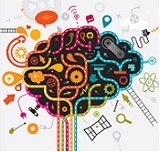 Organised by the Community Therapists Network, this half day workshop will focus on ‘Mental Fitness' - defined as "the modifiable capacity to utilise resources and skills to flexibly adapt to challenges or advantages, enabling thriving" . What is ‘unshared’ or ‘transliminal’ experience’? Experiences that get labelled as ‘psychosis’ are possible for all, but some people are more open to them than others. ‘Transliminal’, or across the threshold, is a useful term. ‘Unshared experience’ is another. Properly supported, this ‘journey across the threshold’ has the potential to be transformative and healing of past hurts. However, the way it is viewed and reacted to by society and services often helps to produce the opposite effect. Trauma figures largely among the many different factors which can result in people being opened up to these experiences: but also, transitions in general. This workshop will draw on the life-experience of the participants with transitions and with the transliminal. 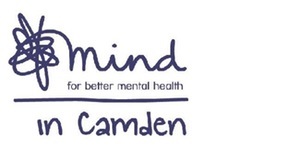 Mind in Camden, Monday, 10 October 2016 from 10:00 to 16:30. New plans to fast track digital excellence and improve the digital skills of the NHS workforce have been announced by Health Secretary Jeremy Hunt as part of plans to expand the use of digital technology across the NHS.